Every summer I make a batch of sun-dried tomato and basil mustard for Mr P. He is a big fan, and loves to smother his lunchtime sangers (sandwiches) in it. I'm more of a sweet mustard pickle gal myself. Oddly I've never made pickles so I must give that a try one of these days. I learned to enjoy mustard while travelling in Britain years ago, where we would buy Marks & Spencer's (the department store) ham sandwiches, which came with a liberal dose of dark brown mustard. 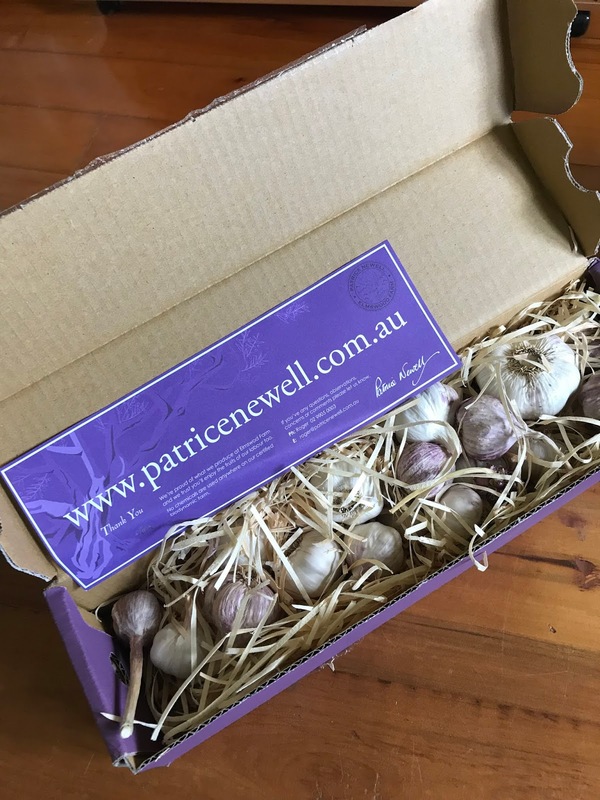 Also every summer, I rush to buy a box of Patrice Newell's garlic, as it is snapped up quickly by restaurateurs and canny cooks from all over the country. 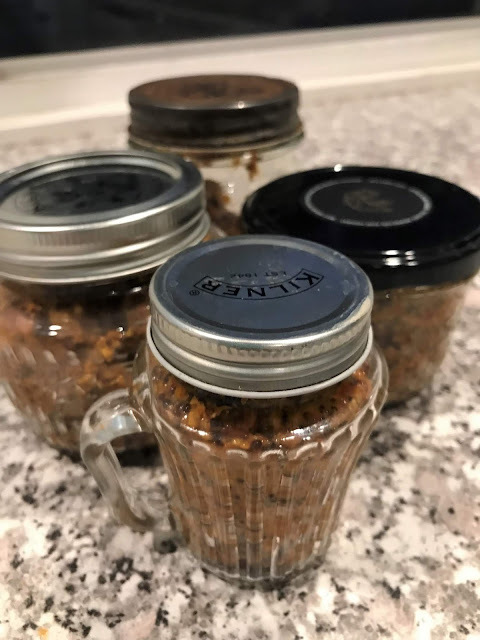 I divvy up the cloves, and freeze them, skin and all for the rest of the year, hopefully. Sometimes I run out! Our friend Miss B. made this for me. She forgot to glaze and fire the weights so I'm still waiting on those before I can make some sauerkraut. Plus I think Winter is probably a better time to make and eat it anyway. Haven't tried this one yet but looking forward to it. I think it would be marvellous on bacon. We were in Yosemite National Park one time, and not able to get dinner due to not having evening wear with us (in a National Park! Those crazy Americans! ), so breakfast the next day was a most marvellous, fabulous thing. Overlooking the redwood trees, we ate lashings of bacon and eggs and maple syrup. The best ever! I have been a huge fan of the combo ever since. 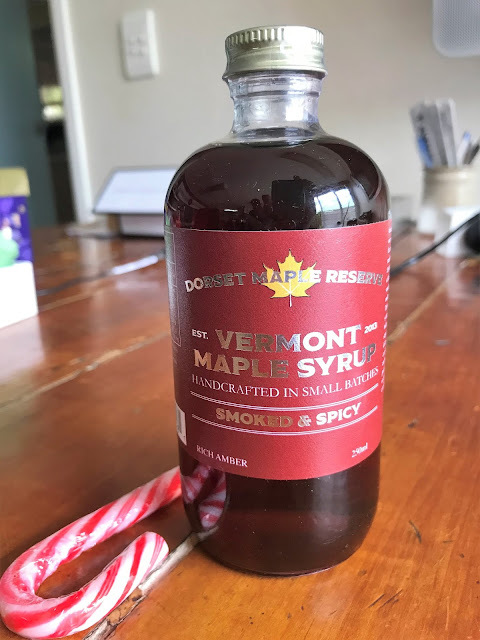 I always make this at Christmas, giving away a bottle if I'm feeling generous. It is very rich and moreish. And absolutely has to be made with Irish whiskey. I've tried others and it's just not the same. This is a little sweetie I bought over the Christmas break, up in the hinterland of the Sunshine Coast when visiting friends who were staying up there. Yep, it had to come home with me. There are lots of fab recipes in this book. 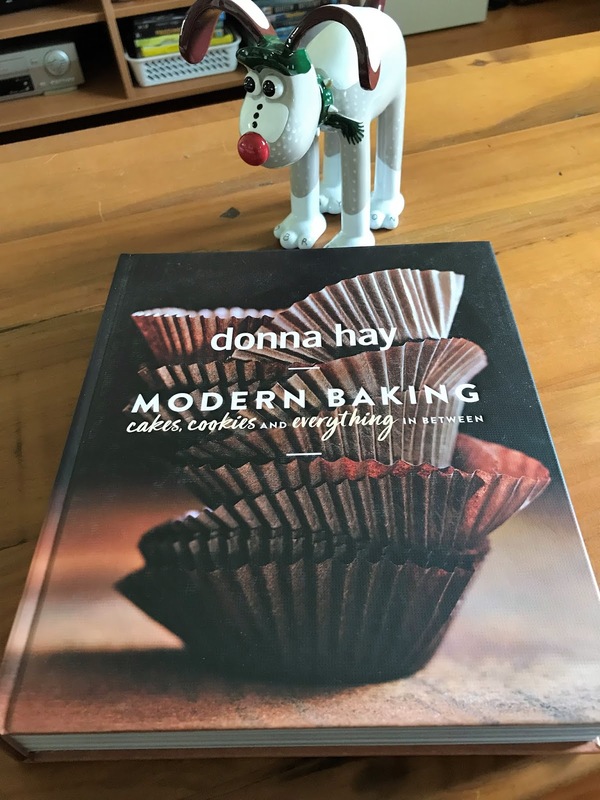 I've never been much of a Donna Hay fan, but there looks to be many interesting recipes to try ... so hang onto your horses, you will be seeing some luscious bakes soon on the blog. 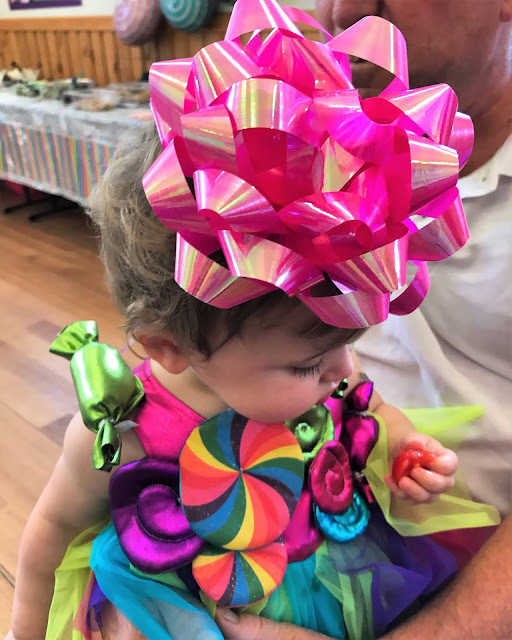 And last but definitely not least: here is my great-niece Lolly, all dressed-up appropriately in her lolly-strewn costume for her recent first birthday party. I call this her Frida Kahlo look:-) She's sitting here on her granddad's knee, delighting in a cherry tomato. What is she thinking? :-) Tomatoes - eek! Permission kindly granted by her mum (my niece) for this photo to go out into the IMK world. Hi Sherry -- You can't imagine how many news stories this week have pointed out that while Australia, as you say, is burning up with a heat wave, we have a huge abnormal invasion of the Arctic air mass, creating havoc throughout a wide swath of America. It was -13ºF when I got up, has warmed up to -10. Just spent an hour or so trying to thaw frozen pipes --- while you are suffering from bats falling out of trees and other indignities of heat. 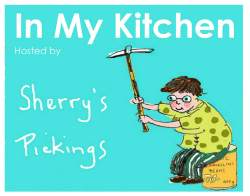 I'm going to see about making mango chutney from frozen mango! I never seem to catch the fresh mango season at the right moment for chutney; obviously we have no mango trees as they aren't even frost tolerant, much less resistant to this winter. Lolly is a real cutie. And I had no idea about the horses and bats-that's terrible! :o It has been such a hot January. 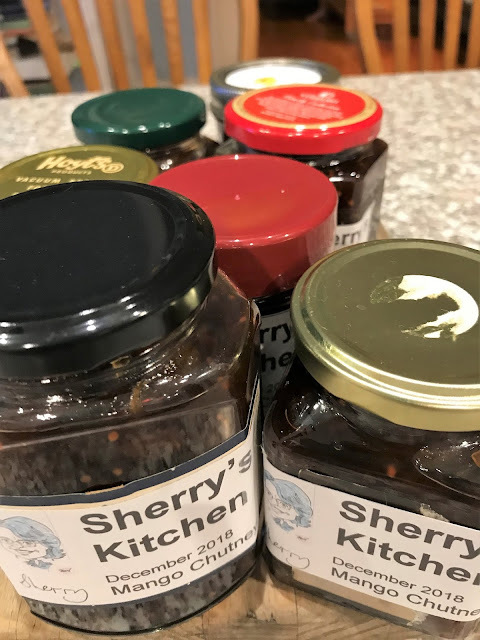 Love reading your blog Sherry - always makes me smile though not the bit about the extreme weather and the animals - and people! I love mustard but have never made it from scratch. Not sure why – just haven't gotten around to it. Love the crock. I need some weights for my own but am working on sourcing some. I love Donna and use three of her books all the time but suspect that many of the recipes in yours are just tweaked or re-styled version of the ones I already have. She rarely lets me down. HI Sherry, I commented the day I added my link, it seems to be MIA. I hadn't had a response so thought maybe I'd check here. I have this trouble with Mae's posts all the time. I'll try again. I haven't connected with DH either, just something don't appeal to me, I really should just try one recipe. My lighter received the Modern Baking book for Xmas and I swear I added 2kg from just looking at the pics. To Sandra, It's terrible that your comments are being eaten-- I have not seen them when moderating comments, so I have no idea what's happening, and no idea what to do. They aren't going to spam, either. I’m getting a bit panicky about google+ going. I got an email from them saying make sure you have everything copied as they will be deleting it all soon! Eek! What fun! 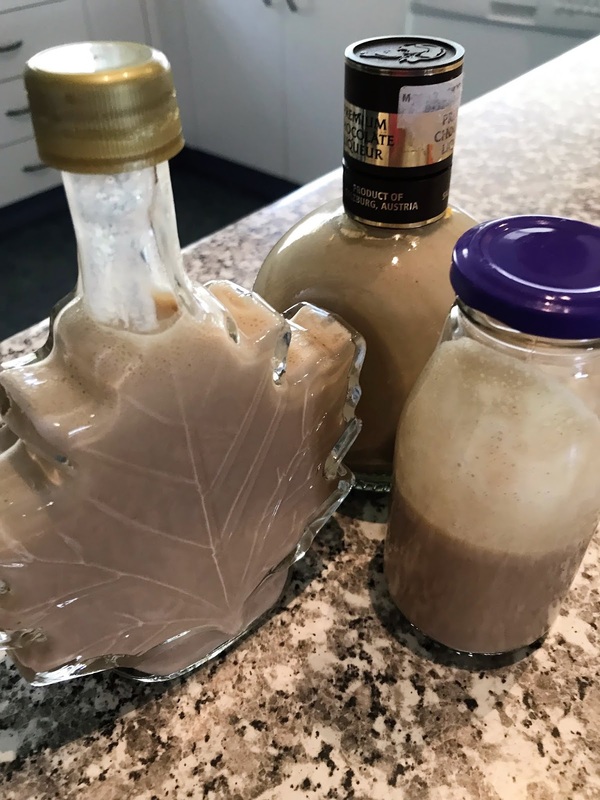 Love your mustard, and the Irish cream!!! Oh, and the mango chutney, frozen or not! Lolly is magnificent in her Frida outfit! Yep me and wooden spoons 🥄. I can’t resist. Thanks for joining in this month! 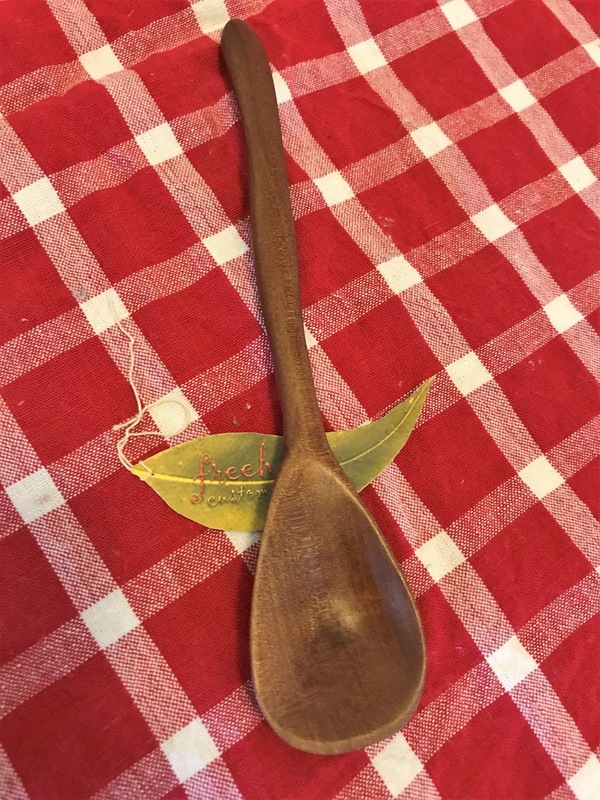 Sherry, I just added my link (thank you!) but I still have a hard time absorbing how "opposite" your piece of the planet is from mine. Currently it's 29F (-1C) and we don't usually get that "cold this time of year, but it is what it is. Your descriptions of how the HEAT has affected you (and the livestock) there made an impression on me. Hope you're safe & well. Loved your post, photos of your personalized gifts, and your adorable niece! Thanks again for hostessing IMK! 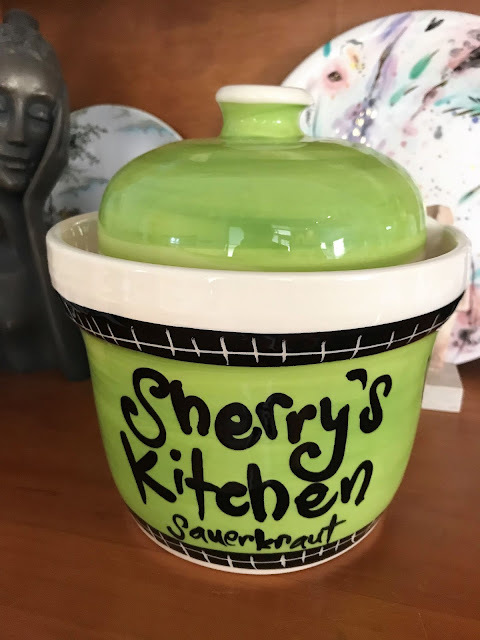 Hi Sherry, you have great looking mango chutneys there, and the Sauerkraut pot is so cute! Love the mustard and the chutney. I have the Donna Hay book too and love it. Thanks for joining in this month. Yes i do love my sauerkraut crock. So pretty I think.